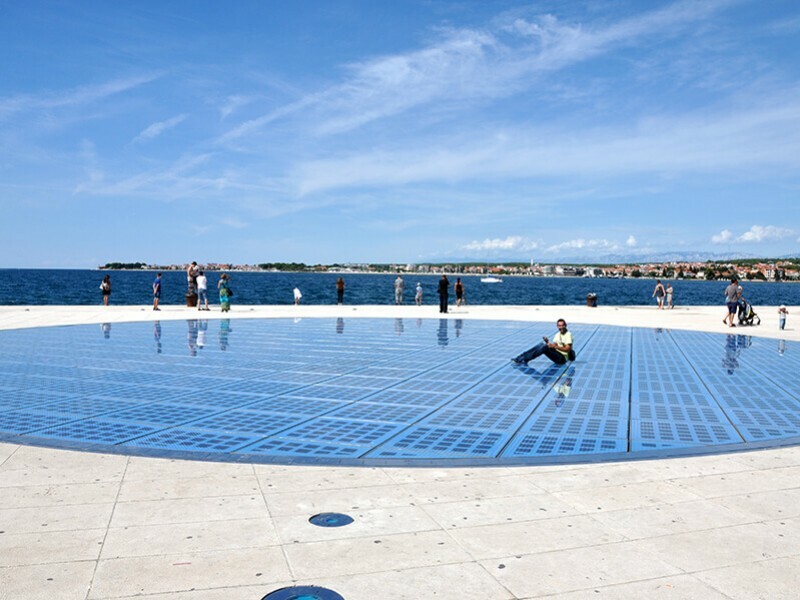 Sea Organ, an architectural wonder recently built in the underwater part of the Zadar city’s waterfront, became modern icon of the city. 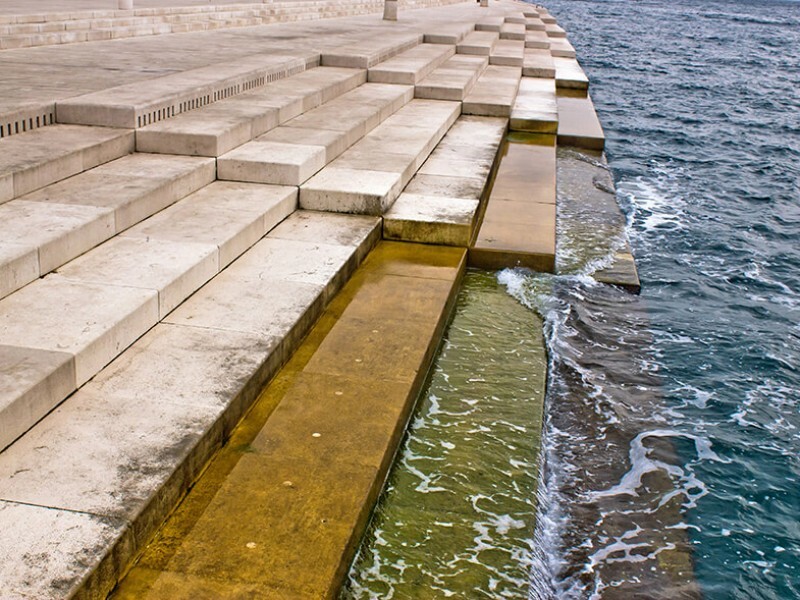 Currents of waves passing through the musical pipes mounted beneath the sea create an amazing sound, the so-called “sea music”, which fills the wide area of the sea promenade. 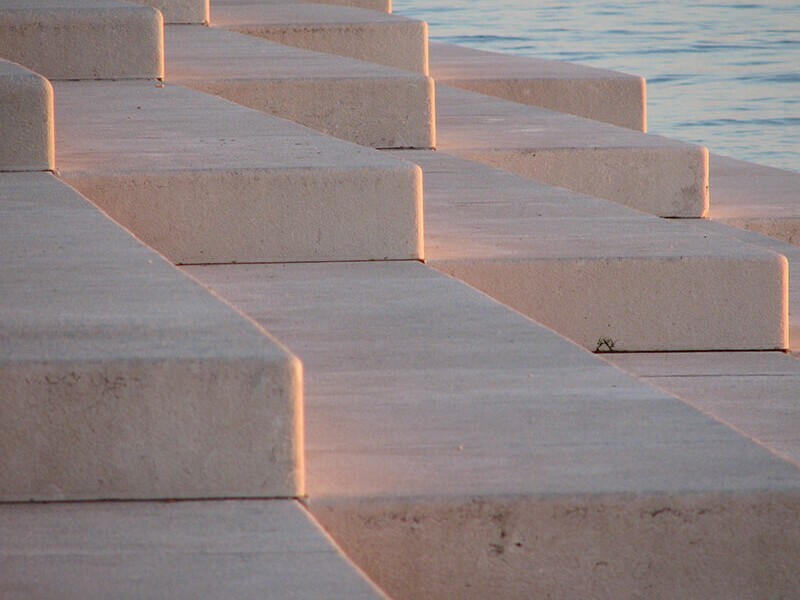 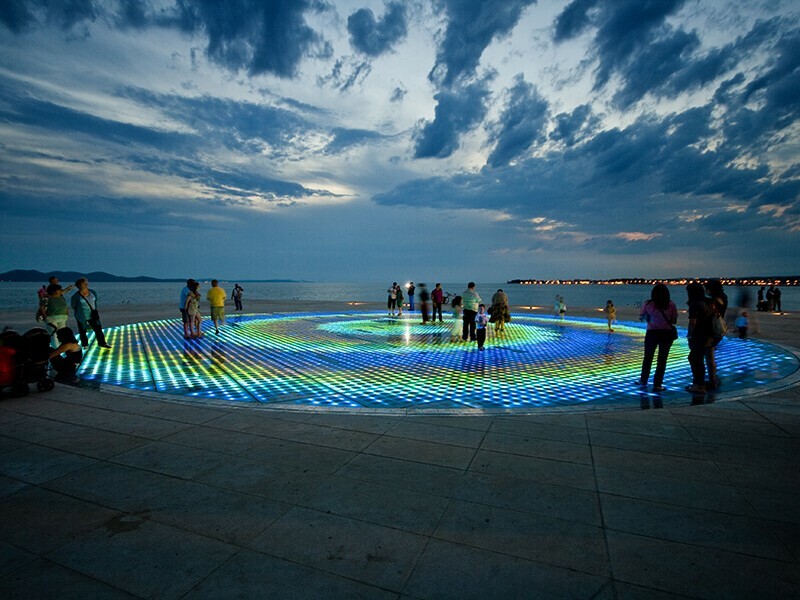 At the very end of the Zadar peninsula, shines the Greeting to the Sun by the same architect, Nikola Bašić. 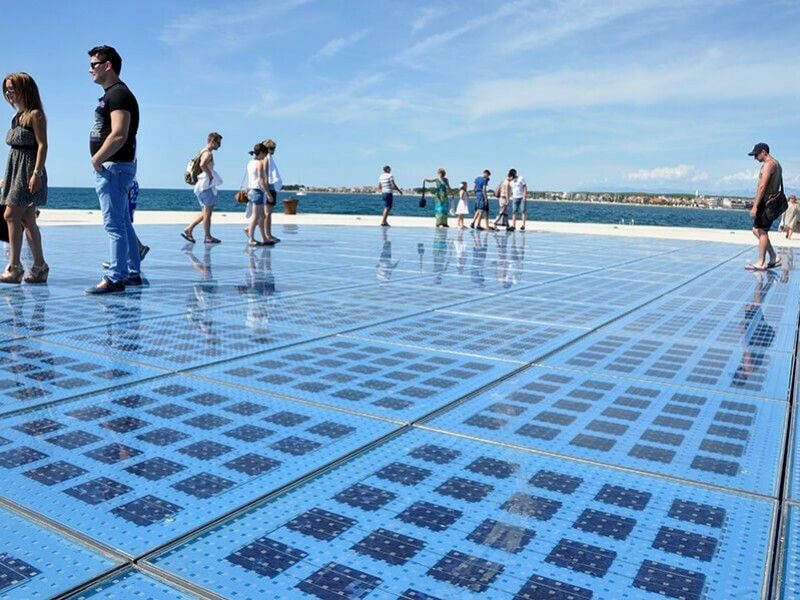 Greeting to the Sun consists of three hundred multi-layered glass plates placed on the same level with the stone-paved promenade in a circle diameter of 22 meters. 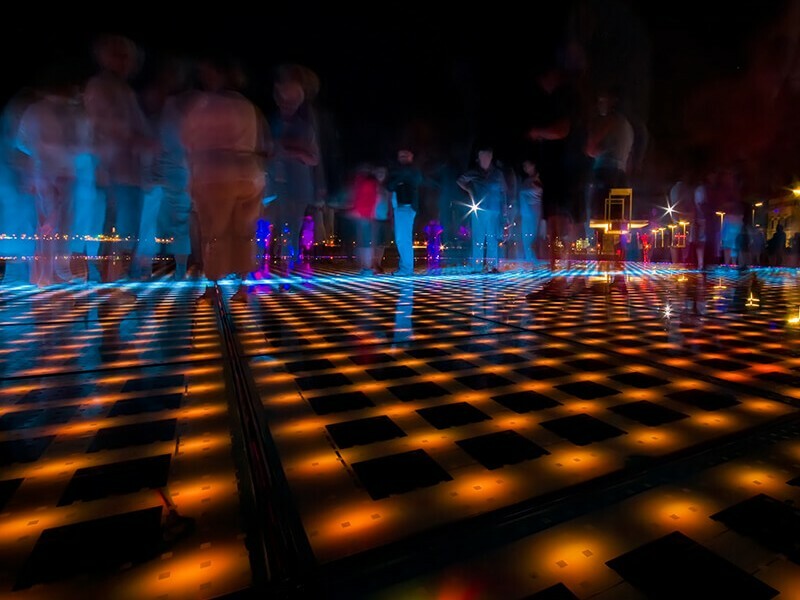 It is conceived as a spatial installation in the form of an amphitheater surrounded by stone blocks displaying all Solar System planets and their orbits. 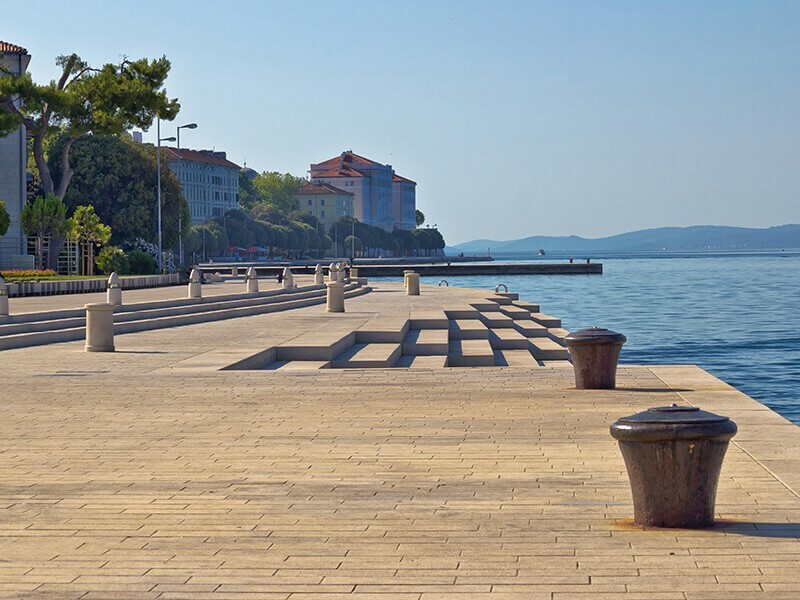 It is at that part of the waterfront where, in the words of the famous Alfred Hitchcock, you can enjoy the most beautiful sunset in the world. 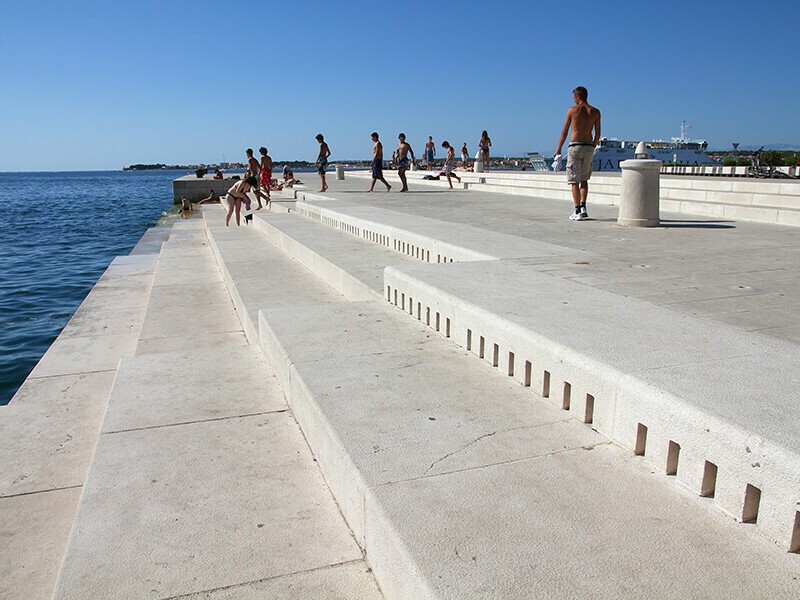 By renting our boats you give yourself the opportunity to enjoy Sea Organ and Greeting to the Sun from a different perspective!